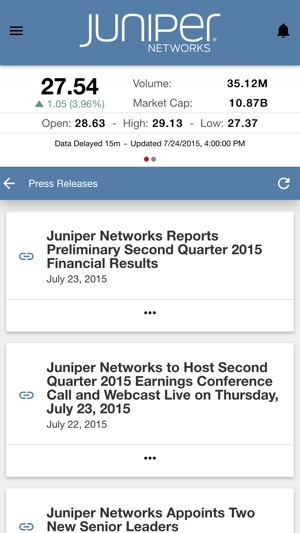 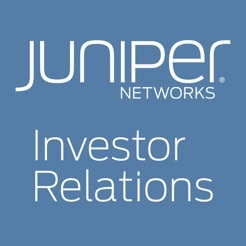 This app gives Juniper Networks, Inc. (NYSE: JNPR) investors mobile access to the latest stock data, news, SEC Filings from Juniper Networks, Inc., as well as proprietary company content including presentations, conference calls, videos, sales and marketing collateral, fact sheets, annual reports and other qualitative company information. 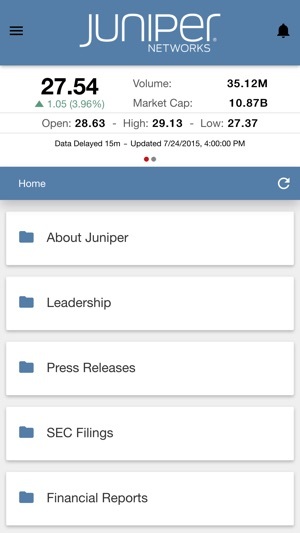 Investors are able to receive push notifications when new content is added to theIRapp; add events to their calendars, share content as well as download it for offline viewing. 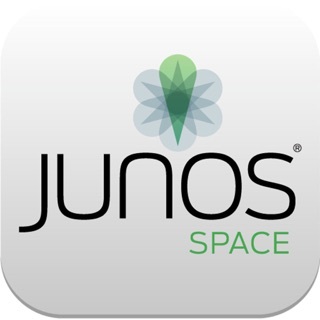 Improvements and performance enhancements for iOS 11.